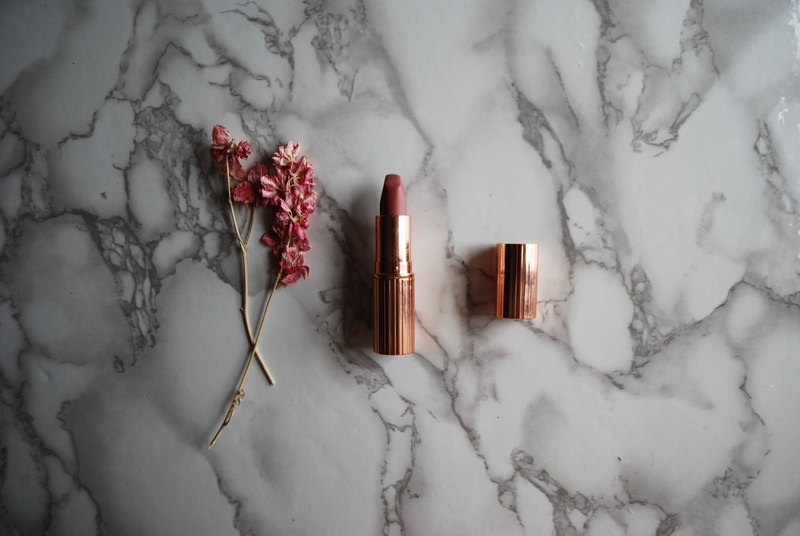 This is one of the new lipstick launches I've been most excited about, so when Charlotte Tilbury launched a new Matte Revolution lipstick in the shade English Beauty in the middle of dreary January I snapped it right up. So let's see how it performs, shall we? What's the colour and how is it different from Pillow Talk? It's a peachy-pink with warm tones. Pillow Talk is much more cool-toned with a pinky-mauve tint. 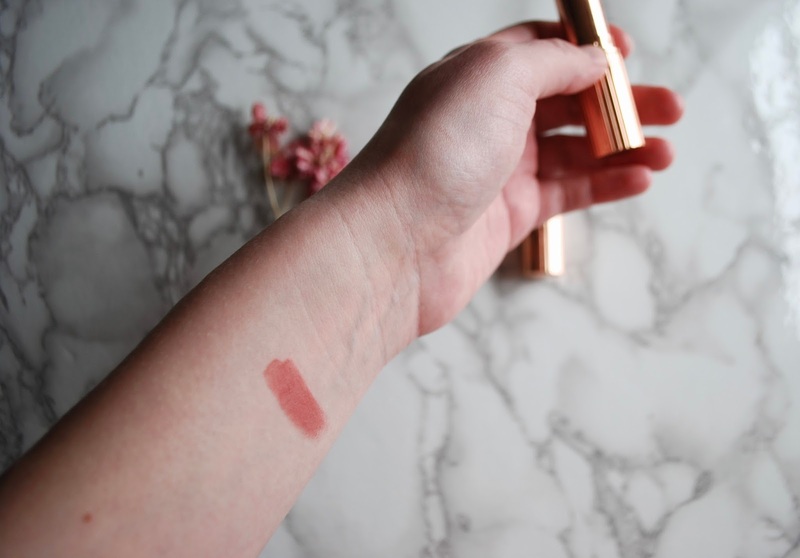 My problem with pink lipsticks is that they're often too girly and too "barbie-pink", but the peach tones in Charlotte Tilbury English Beauty keep it from being too much of a traditional pink. This lipstick has good staying power--not the best in the world--but it's solidly good. What exactly do I mean by that? Well, you wouldn't need to worry about reapplying before lunch, but you'd want to touch it up after a big meal. You don't need to worry about touching it up after a coffee, though! 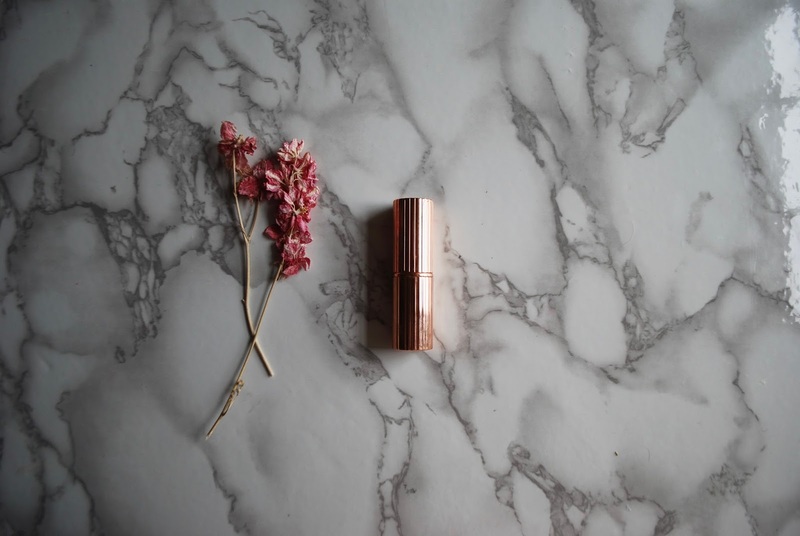 Have you guys tried Charlotte Tilbury English Beauty?